Shin’en Multimedia’s Manfred Linzner was recently interviewed by SuperPhillip. During the interview, Linzner revealed that Shin’en Multimedia is almost finished developing a new game for Wii U. Linzner is impressed with the Wii U console and claims that it’s very easy to develop for. According to Linzner, compared to other current generation platforms, the Wii U does not have many limitations. Lizner also revealed that Nintendo doesn’t really put restrictions on developers who bring their content to the eShop. When making DL game perhaps. Lets see them attempt something like Tekken and face the same BS Namco had to deal with. What kind of problems is Namco dealing with? WiiU has a slow CPU compared to 360 and PS3, thus requiring more dev effort and cost to run on par. That sounds to me like Nintendo turned it down before presenting it to them to give them a challenge, and that it is something they could easily crank right back up. Also, it was never stated HOW low, so now some people[ and many, many trolls looking for any excuse they can get their filthy claws on to bash Nintendo] are taking that article and blowing it WAAAAAYYYYYY out of proportion. If the speed were slow enough to be a discouragement, then Nintendo wouldn’t be getting all of the support from third party companies that they are now. Idiot… how about you read this and educate yourself. It’s kind of amazing that people don’t already know this. We’ve already seen this happen before. Early 360/ps3 games didn’t look much better than late xbox/ps2 games. Now we’ve got games like The Last of Us. Consoles look better over time people. That’s just the way it is. this; relative computing power is a combination of clock speed, instruction set, available cores/threads, bus size, cache. How they choose to utilize these features intelligently (or not) is up to the dev. Shame on nintendo for worrying about heat and power consumption I wish they would just let it overheat and let us buy a new one every few months and let me play COD in peace! Go back and read the original story, I won’t bother replying to you until you do. You just replied as well. YOU DONT SAY . JAY PEG! – LOL! I so understand the oitfut choices. My 5yo son chooses all his own. Usually he’s pretty good. But there are those times of 2 different plaids and other such combinations. Very cute swing pic! Love the color. What a load of crock, it’s almost like they’re reading from a script devised by Nintendo. Lets not forget developers have been gunning Nintendo and their harsh tactics with their crappy WiiWare service, for years. Things change, it’s just hard for skeptics to believe. theirs a difference between eshop and Wii shop channel. Are you the new biased troll, it sure seems like that. Shinen is just not bitching around. They deliver. End of story. So your one of those typse looking for any reason to bash nintendo, but when someone says positive things you can not stand it. Also when anyone post something you look to jump down there throat. correct me if i’m wrong. Uhh, this back and forth about the wiiu’s power is getting annoying. Also, what games has this developer made? Art of Balance, Jett Rocket and Nano Assualt are the key ones. Oh wow, so that’s the sequel then and it’s coming to 3DS eShop? Time to get excited. Thanks for linking the page of the games. wait how does that work, if the only make games on Nintendo does it that mean that they are second party? Nope, subsidiaries are 2nd party developers, so developers like Retro, a development team becomes a subsidiary if the company that has them as a subsidiary has a share of it. It becomes a 1st party developer if the company buys out 100% of the team. And since Nintendo has not shares of this development company, they are 3rd party developers, who develop games exclusively for Nintendo. But I’m fairly certain that it was a mistake in Wikipedia. Source 1: Wii U is par with 360 and PS3. Source 2: Wii U is only a bit weaker than 360 and PS3. 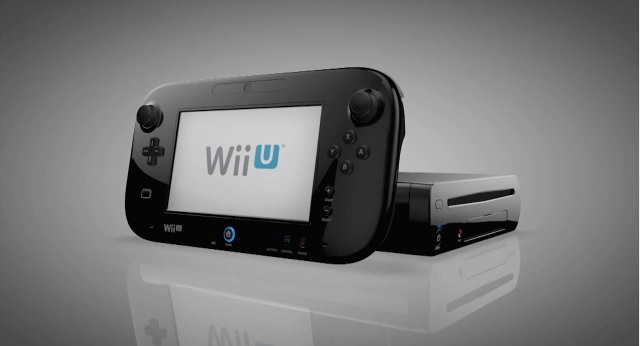 Source 3: Wii U might be better than NextBox and PlayStation 4. Source 4: Wii U is more powerful than Bat-man. Source 5: Wii U is only 1.5 as powerful as the NextBox. Source 6: Wii U is more powerful than Wii. i want Nintendo to say that not these anon fools… i agree with U.
Crytek said Cry runs beautifully on the wiiU :P Not rly anon source to be fair. You’re doing it wrong… It’s I’M BATMAAAAAAAAAAAAAAAAAAAAAAAAAAAAAAAAAAAN!!!!!!!!!!!!!!!!!!!!!!!!!!!!!!!!!! I just want to play the damn thing. As long as its fun, the power shouldn’t matter too much. You avatar obviously isn’t, LOL. It seems like you regained your former ”comment fits gravatar” state. I’m predicting that the Wii U CPU is actually based on a (modified with 12MB L3 cache) POWERPC 476FP. That would give it a clock speed of 1.8Ghz, however would be able to process a whopping 5 THREADS A CORE (15 threads). With 3MB L2 cache and around 12MB eDRAM running for L3 cache. That vastly outperforms the 360 or PS3, and even out-performs the Xbox 8 (if the rumours are true that 4 cores will be locked out to run Kinect 2 etc). We’ll have to wait for Nintendo to say anything. Please don’t post these things, people with no understanding of technology might use it, and you know what happens after that. If you are thinking about what it could be for fun, keep it to yourself, not to be rude but just to prevent unnecessary arguments. Plus just porting games over without any modification or optimization for the new hardware will result in just marginal graphic improvements. Majority of the launch games for Wii U are PORTS. So why are these idiots expecting a huge difference in the game fidelity when it will take developers time to build games from the ground up for the Wii U. Simple, so they can have a reason to try and say that the Wii-U is a “false” next-gen system. I just want to play my Metroid already! The online sure seems better. 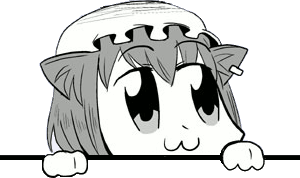 It’s a unified account, on which your games get saved in a cloud, at least that’s what I got from all the articles, take what I’m typing with a grain of salt. I would have loved to have such a system for the Vita, but sadly, Sony wants to re-sell me my PSP games to me again via PStore. But I gave them my middle finger, and turned on my PSP …and then it crashed. You win this time Sony, but the war is not over, I’LL NEVER RE-BUY THE THINGS I ALREADY BOUGHT! Yeah, sorry, it’s a better system for now, by the looks of it. I hope real info comes soon. Good thing considering that the Saturn was the hardest game console to develop games, expecially for make run party games. Being a SEGA fan I remember this “problem” on my best 32bit console, the SEGA Saturn. This time With Wii U, Nintendo is sure to avoid any kind of develop problems! There sure is a lot of Wara Wara! going around with these developers talking about what the U can and can’t do for a while so come 2013 there should be a lot of games dropping . By the sounds of it there are A LOT of games in development. And I mean seriously A LOT. Not just bad games, (Jet Tailfin is the only shovelware I can think of.) but a bunch of big 3rd party games aren’t unveiled. EA (I hate them so much!) has 2 games to be announced this July, even though they aren’t really all that popular, they make some of the biggest games on the market, so it’s good to have ’em. The problem about the WiiU power is if it falls on the wrong hands. Life as we know it could be in danger. if there are no restrictions then I better see a lot of intense games on the eshop. Pingback: Velocity Gamer – How Powerful Is The Wii U, You Ask? Here’s Your Possible Answer. I have been browsing onlnie more than 3 hours lately, yet I never found any fascinating article like yours. It is beautiful price enough for me. In my view, if all web owners and bloggers made good content as you probably did, the net shall be a lot more useful than ever before. When you are content to be simply yourself and don’t compare or compete, everybody will respect you. by Lao Tzu.